Andrews McMeel Publishing, 9781449478315, 96pp. Facing fears has never been so much fun! 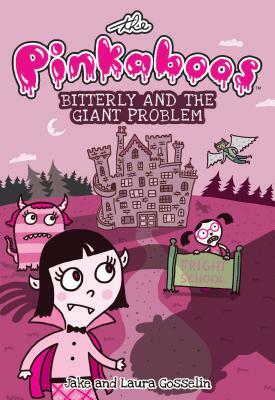 Join best friends Bitterly, Abyssma and Belladonna as they start a new year at Fright School. As young "Frights", they will learn how to chase away the fears of little human girls by entering their dreams and teaching them how to overcome their nightmares. But Bitterly, the most promising "Fright", must face the school bully and some nightmares of her own. Creators Laura and Jake Gosselin offer an empowering book series for girls and young readers that presents the challenges of childhood through the thrilling and magical world of The Pinkaboos.